Version 2.0 of CNC machined discharge flange for GT25R/GT28R/GT28RS/GT2871R and GT3071R-WG/GT3076R-WG internally wastegate T25 exhaust housing. 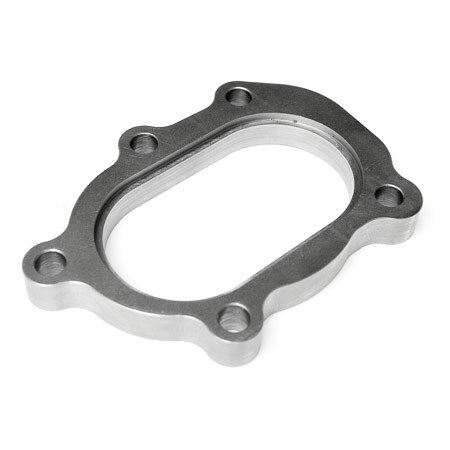 Designed with only the profiled 5 bolt pattern along with groove for 3" oval tube (ATP-FLS-060) sold separately. Exact outer profile of the T25 flanged GT 5 bolt discharge and no extra (universal) holes like ATP-FLS-026.